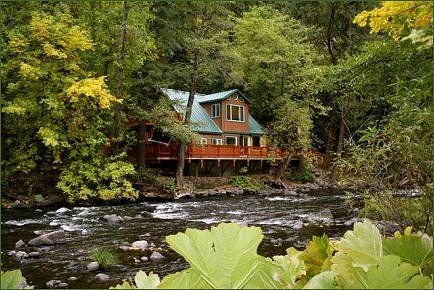 Sacred Springs is the only vacation rental home in California that's located on 4 private acres spanning 600 yards of river frontage on the famous upper Sacramento River in Dunsmuir, California. The home has underone a state-of-art remodeling from top to bottom, but has kept its original rustic, mountain home ambience. It is set in what is, arguably, one of the most picturesque locations in California with the best water on earth! The protected waters of Sacred Springs offer some of the best fly-fishing the state has to offer. And angler's paradise, the river is open year-round. The property's section of the river is abundant with rare native wild rainbow trout, attracting anglers from all over the world. The fishing can be world class. On a good day, you can even hook up right off the deck! 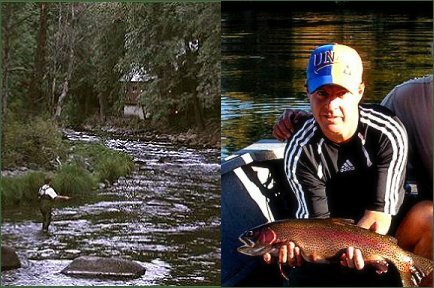 The McCloud River, conveniently located only 20 minutes northeast, offer additional fishing opportunities. Nearby fisheries on the Pitt, Klamath, Eel, Trinity, Salmon, Rouge, and Smith Rivers produce steelhead, salmon, and trophy trout. Located at an elevation of 2,300 feet, Sacred Springs often gets snow during the beautiful winter months. 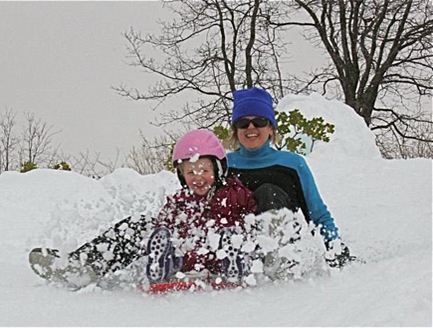 That is good news as the snow levels are usually just enough to make it frosty white, wonderful, and easy to navigate. 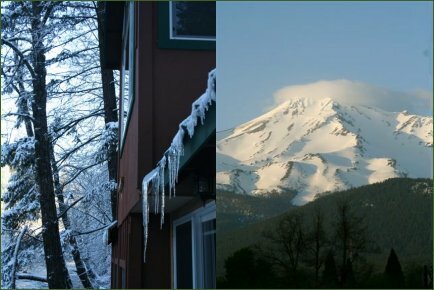 If you like downhill or cross country skiing, sledding, ice skating, and snowboarding, Sacred Springs is only 12 miles from the ski lifts at the base of Mount Shasta, whose summit is well over 14,000 feet tall! While you enjoy the complete privacy Sacred Springs offers, you'll be amazed to discover it is just a short 10-minute walk to historical downtown Dunsmuir. There are a handful of great restaurants, coffeehouses, a lively jazz night club, and the legendary Ted Fay Fly Shop. 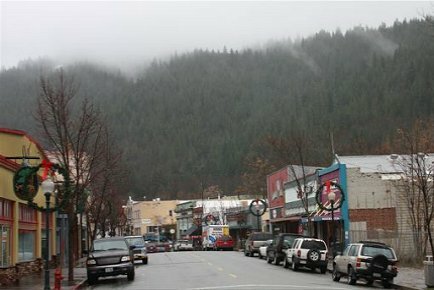 Take a swim in the Dunsmuir olympic pool, enjoy the beautiful Dunsmuir Riverfront Botanical Gardens City Park, visit the River Exchange, a local wildlife and river museum and information center, and shop in the unique shops. 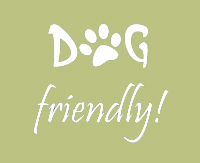 Sacred Springs and the Dunsmuir area is a paradise for families and pets. Hike the amazing Castle Crags, walk upriver 15 minutes to Moss Brae Falls, rent kayaks or paddleboats on nearby Lake Siskiyou (which is a great trout and bass fishery), or take a short drive to enjoy Castle Lake, Lake Shasta, and the McCloud River. Like to golf? There are some great golf courses! Let Mount Shasta be your tee-off backdrop at each hole. All sports and recreational activities are either free or very reasonably priced, and at a fraction of what you would spend at Lake Tahoe. For all you Shakespeare lovers, you can drive approximately an hour north to the Oregon border to enjoy the Elizabethan town of Ashland, the renowned home of the Shakespeare Festival. Sleep to the sound of the river just outside your window view! "The best water on Earth!"